This women’s Star Wars Millennium Falcon sweatshirt is available at Zulily. 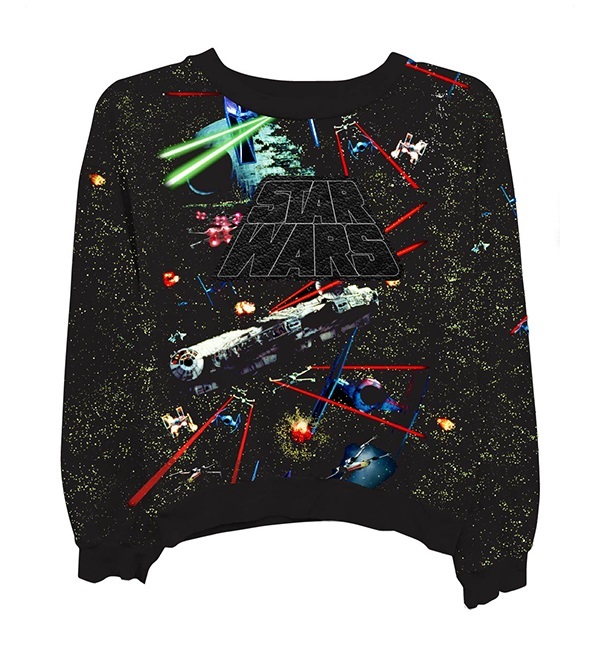 Made by Freeze, the 60% cotton / 40% polyester sweatshirt features a large all-over print of the Death Star space battle from Return Of The Jedi, with the Millennium Falcon and Star Wars logo. Bundle up from the chill of space for all your hyperdrive journeys through the galaxy with this snuggly sweatshirt. 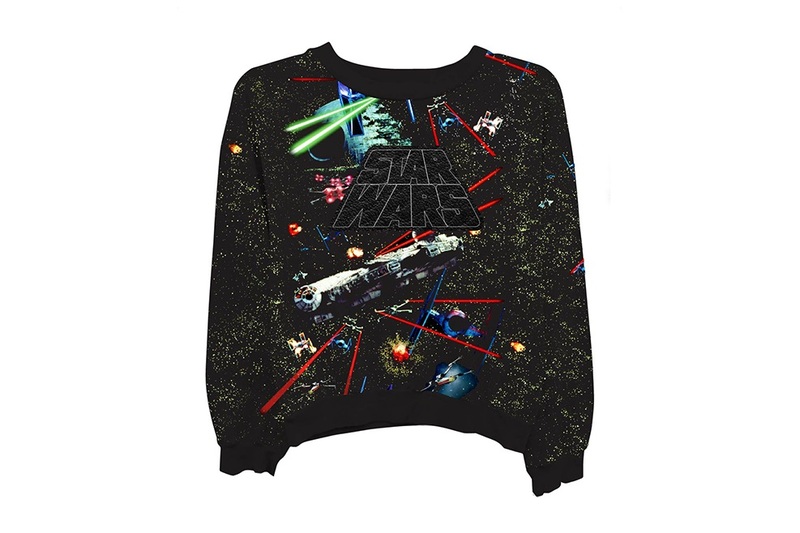 Available in sizes XS to XL, the sweatshirt is priced at US$26.99 each – Zulily can ship internationally, but in my experience I have not been able to ship Star Wars sale items outside the US – but have successfully used a mail forwarding service. Photos sourced from and belong to Zulily.